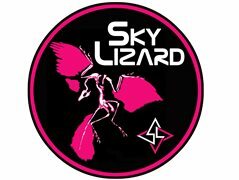 Sky Lizard is a quality covers band with full gig diary for 2019. All eras and genres of music; so long as 1. we enjoy playing it 2. we play it exceptionally well 3. The audience responds. Our keys wizard will be retiring from band gigs and we're looking for someone who is musical, versatile, adaptable, talented and fun to be with. Weekly rehearsal in Sidmouth. Gigs in Devon/Dorset/Somerset areas. If you have the credentials, please consider applying for a part in a fully functioning, well-respected band. Required: Good musical knowledge and technical expertise. Able to conjure up sounds and textures to recreate iconic tracks. Happy to transpose and transcribe. Turns up for rehearsals and learns parts in meantime :-) Able to sing harmonies in backing vocals. Has own transport. Remuneration is share of gig fees less expenses.